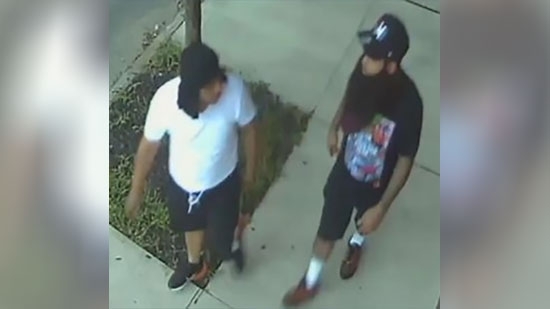 There is now a $50,000 reward for information that leads to the arrest and conviction of two suspects accused of opening fire on two undercover Camden County detectives. The New Jersey State Fraternal Order of Police is offering $25,000, the Camden Fraternal Order of Police is offering $5,000, and the New Jersey State Police Benevolent Association is offering $20,000. The incident happened around 8:30 p.m. Tuesday, 8/7, near Mount Vernon Street and Broadway in Camden. The two detectives were sitting at a red light in an unmarked car when they were ambushed by the suspects. Authorities say that between 10 and 25 shots were fired at the officers. The female detective was shot in the hand. The male detective was shot in the bicep and forearm. One of the officers was able to return fire, but it is not known if they hit a suspect. They were taken to Cooper University Hospital and have been released as of Thursday, 8/9. If you have any information contact Camden County Metro Police Department's Detective Cafferalli at 856-757-7042. A federal appeals court in Philadelphia threw out several of former U.S. Rep. Chaka Fattah's corruption convictions related to bribery on Thursday, 8/9. The U.S. Court of Appeals for the Third Circuit overturned four of the congressman's criminal convictions citing a recent U.S. Supreme Court decision on political graft. The appellate court found that the jury was not properly instructed on those charges. However, all of Fattah's other corruption convictions were upheld. The U.S. Attorney will now have to decide whether or not to retry those four charges. In 2016, Fattah was given 17 10-year sentences to run concurrently. With 4 convictions thrown out, he still has 13 convictions and their 13 concurrent decades of prison time. He is currently in federal prison in McKean County, Pa. He will get out in 2025.